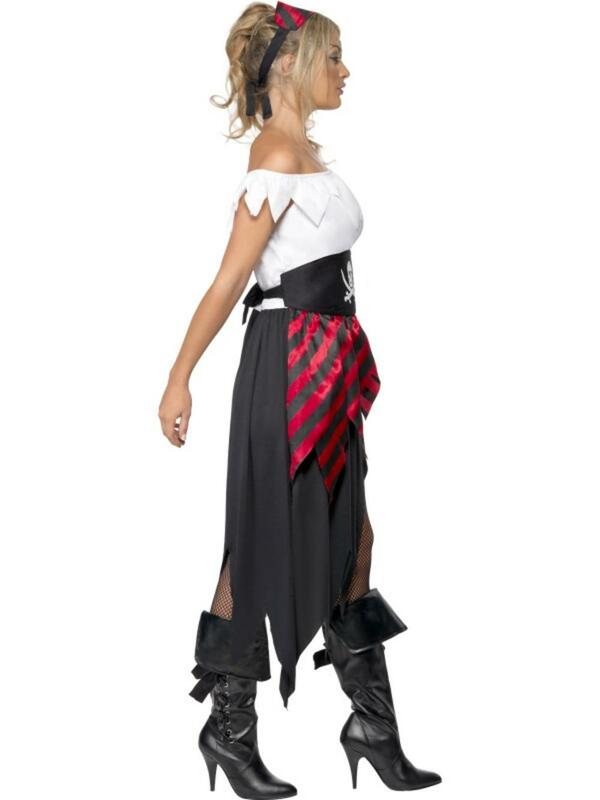 Sail the seven sea's in style by wearing this fabulous pirate wench fancy dress costume, sure to turn you into the sassiest swashbuckler around! 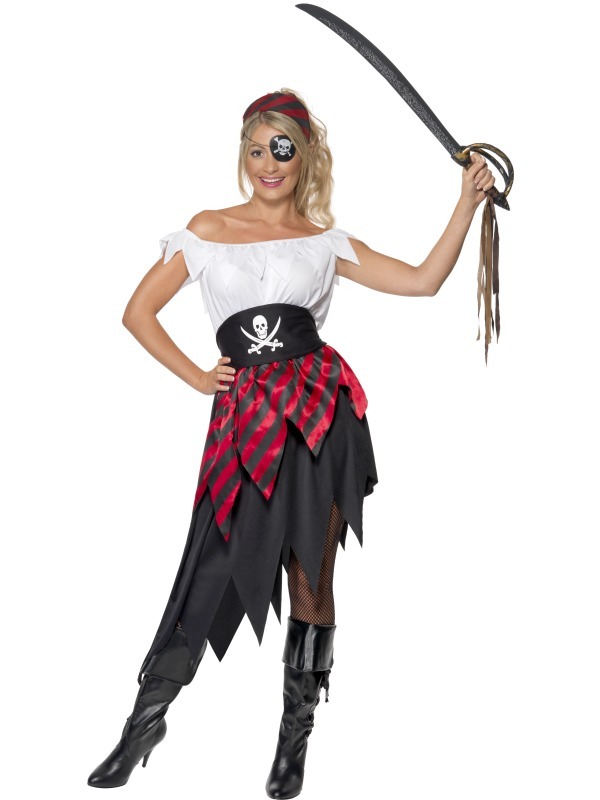 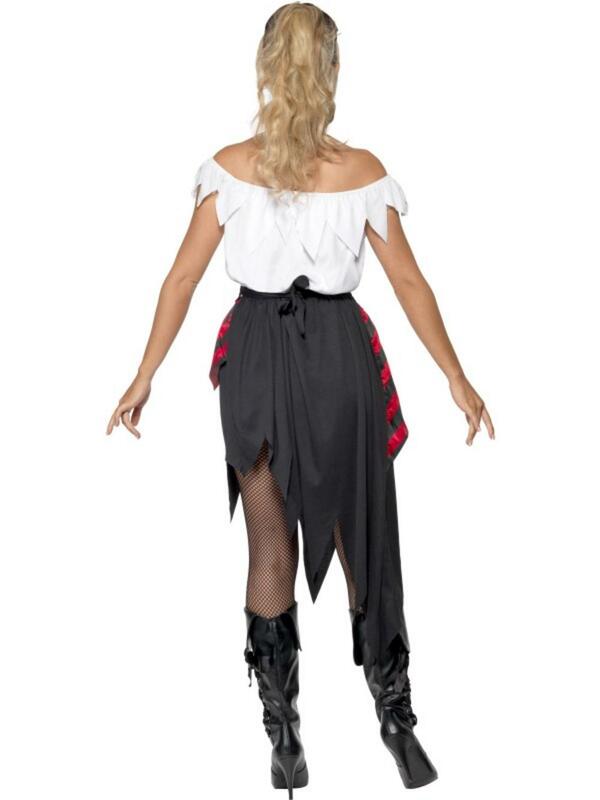 The fabulous costume comprises of a long red white and black dress decorated with jagged edge detailing to give you a realistic pirate look. 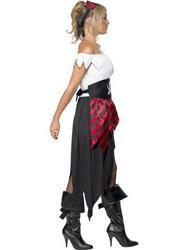 Completing the costume is a black belt with skull and cross bones design printed to the centre and a red headpiece. Perfect for any fancy dress party, especially one with a pirate theme.